Do you have a bunch of plastic ornaments? I bought a bag full several years ago and now can’t bring myself to use them…until now! 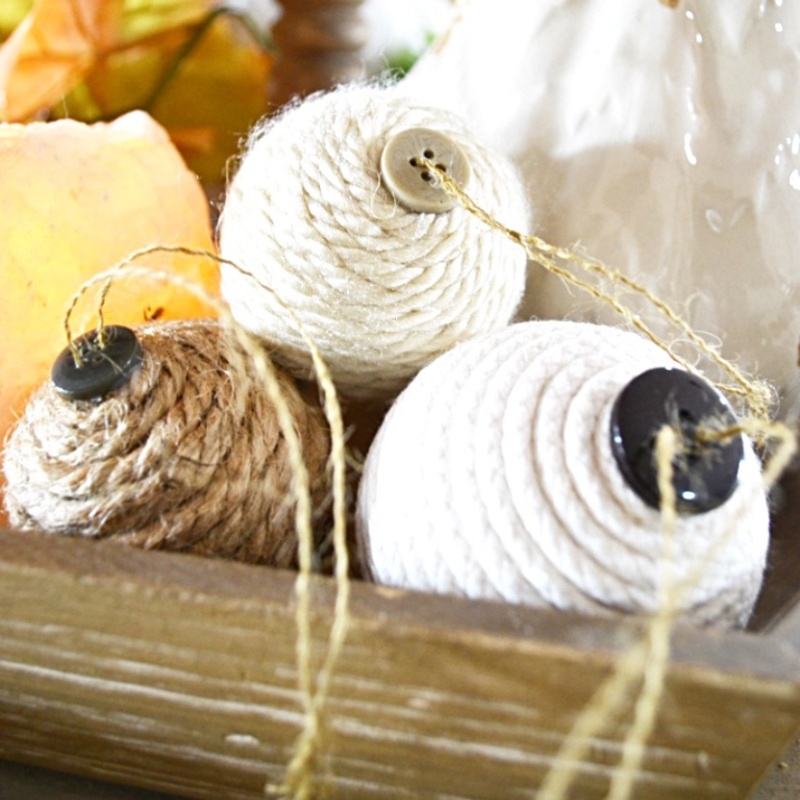 They turned into farmhouse DIY Christmas ornaments. I can’t believe how easy this was to do. There are a few tips learned while making them that will make it easy for you. Wish I had thought about this a few years ago. 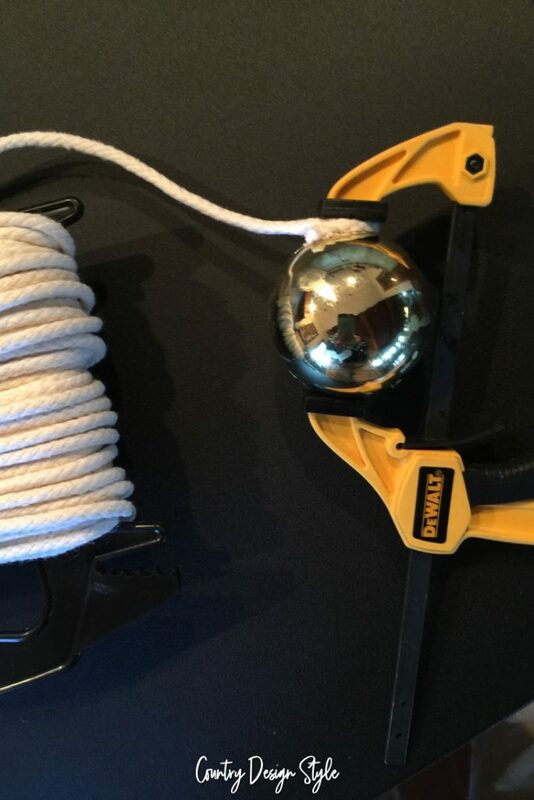 Here’s what you need to change your plastic ornaments. 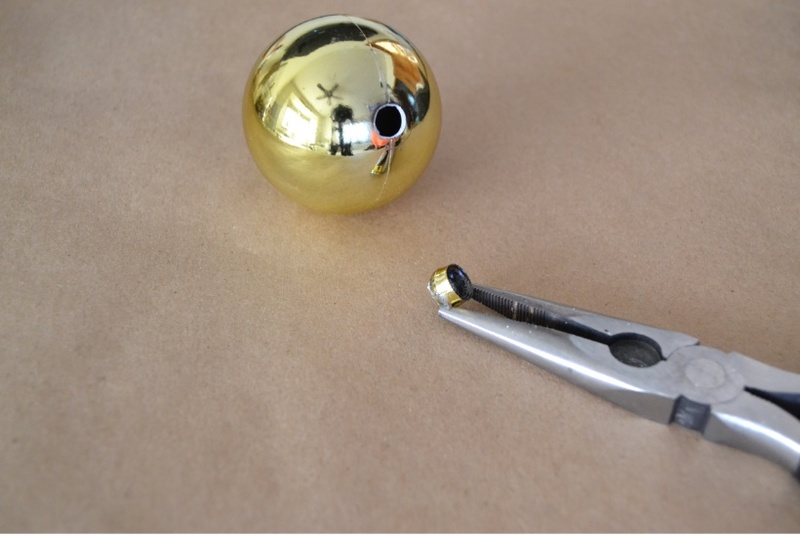 Use pliers to pry the top from the plastic ornament. My ornaments have a stub that the top attaches too. I used pliers to remove the stub. Now it’s round with a hole. If the top doesn’t pop off, chip away at the pieces. This happened to only one ornament out of five so far. The hole is where I started gluing the materials. 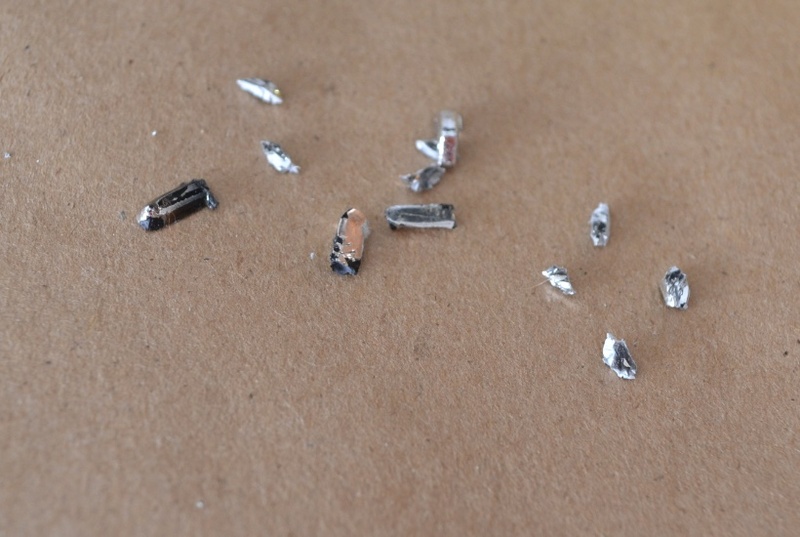 Tip one: use hot glue to start. Otherwise, the yarns tend to move as you start wrapping. I made a video to show an easy way to wrap the material around the ornament. 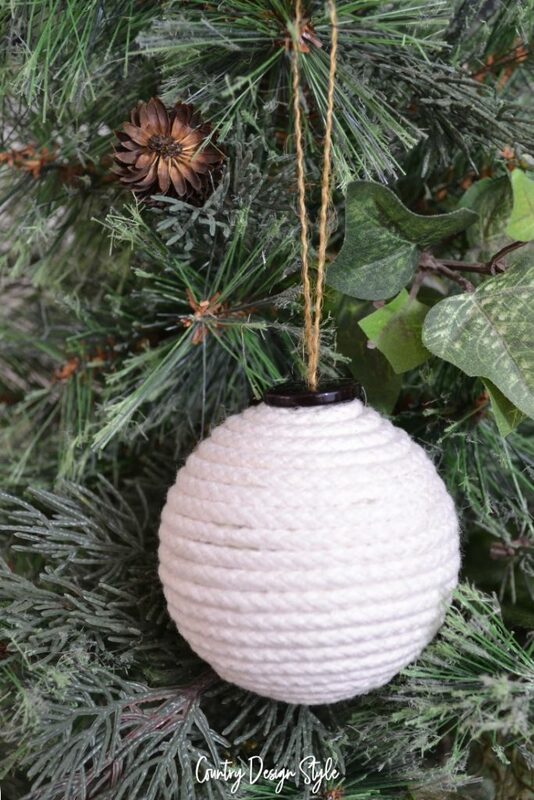 Use one hand to turn the ornament. 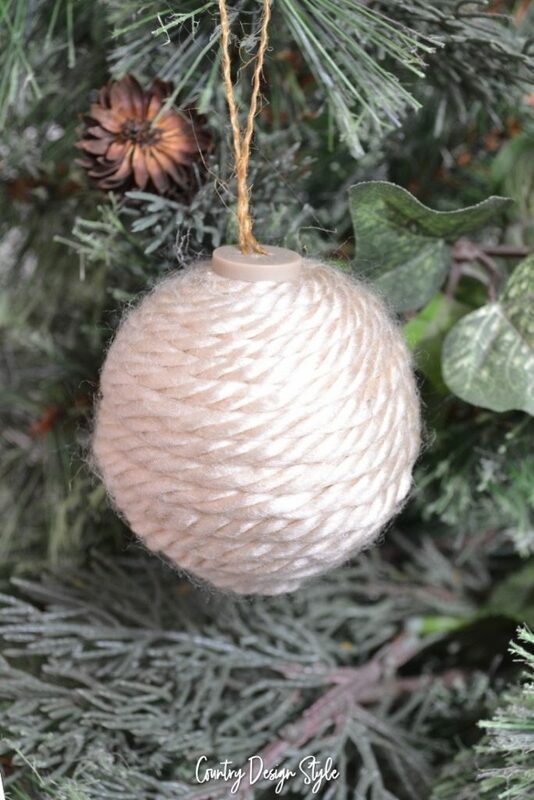 Use your other hand to apply the yarn and add glue as needed. The yarn is the hardest material to wrap. It tries to unravel as you wrap around. Tip two: Something to watch for as you go over the equator…it’s harder to wrap. The material tends to slide more. Make sure to stay close to the previous line as to move to the end. This one is my favorite! I’ve made three in two different sizes. Tip three: As you curl the last piece in place, cut the extra yarn to an inch. After the glue dries, then cut flush. 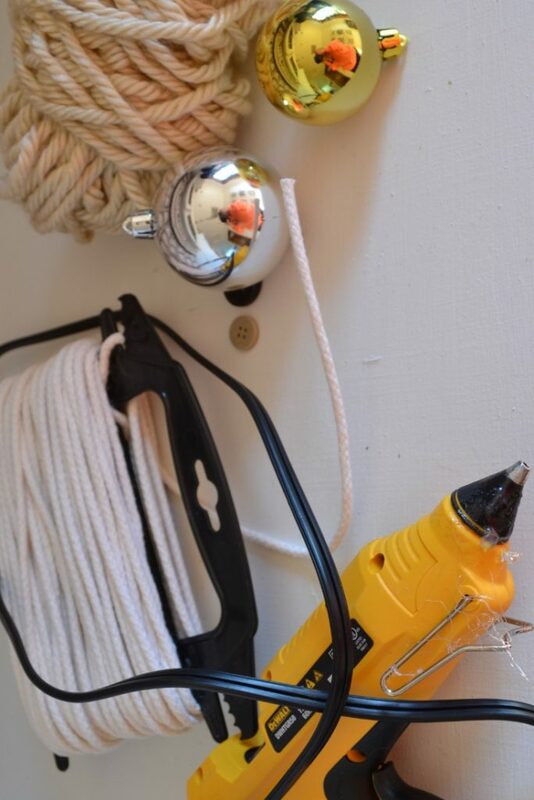 Tip four: Use hot glue at the end or use small clamps while the glue dries. 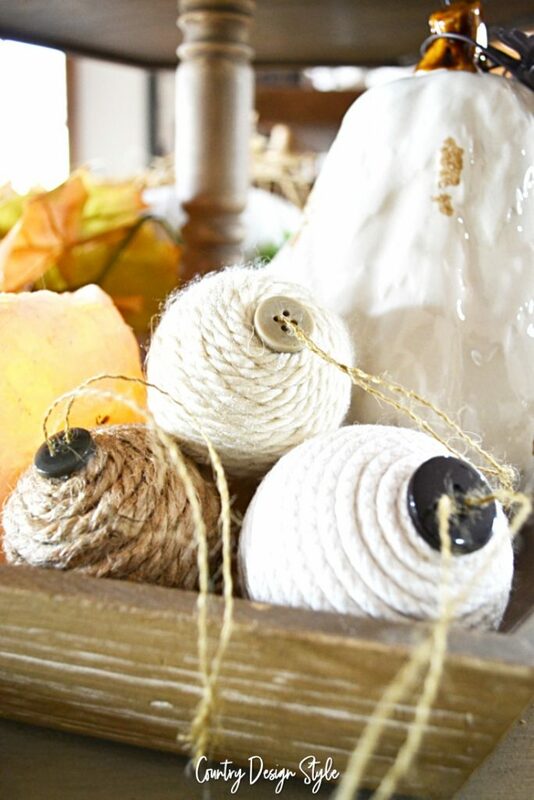 Pick a button to use as a farmhouse style topper. Thread thin twine into the buttonholes. Then form a loop and tie the ends. 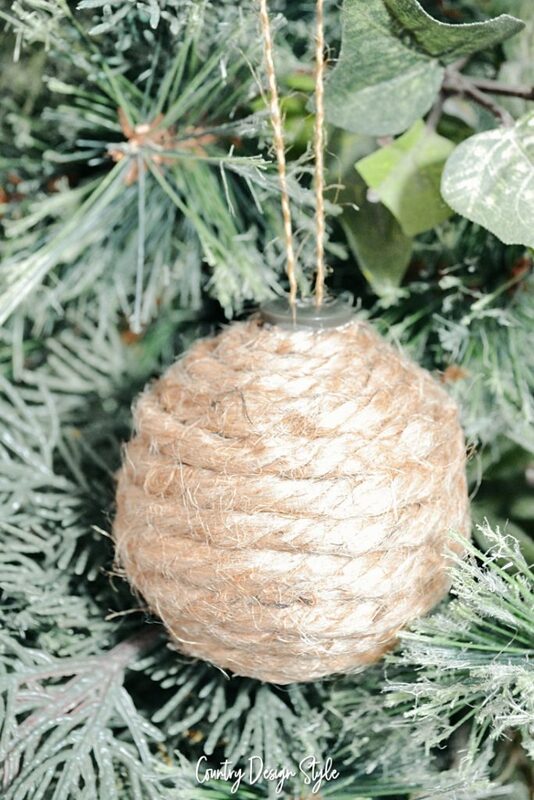 Then hot glue the button to the top of your farmhouse DIY Christmas ornaments. Now to figure out how to wrap that Santa boot ornament!